Thomas Cook launches review of airline division - SABC News - Breaking news, special reports, world, business, sport coverage of all South African current events. Africa's news leader. Thomas Cook's airline business operates a fleet of 103 aircraft, about one quarter of which serve long-haul destinations. British travel firm Thomas Cook on Thursday launched a review of its airline after posting a worsening quarterly loss on challenging trade. The company, which offers package holidays to northern Europeans looking for summer sunshine, has decided to focus more on hotels. “We are today announcing a strategic review of our group airline,” said chief executive Peter Fankhauser in a results statement. “We are at an early stage in this review process which will consider all options to enhance value to shareholders and intensify our strategic focus. Thomas Cook’s airline business operates a fleet of 103 aircraft, about one quarter of which serve long-haul destinations. “Brexit is in many customers’ minds,” Fankhauser admitted in a conference call to reporters. The group has sought to slash costs after its 2017/2018 performance was also knocked badly by rising costs and a long period of hot European weather over the summer — which saw customers put off last-minute holidays abroad. “As expected, the knock-on effect from the prolonged summer heatwave and high prices in the Canaries have impacted customer demand for winter sun,” added Fankhauser. Total revenues meanwhile edged one percent higher to £1.656 billion in the reporting period. 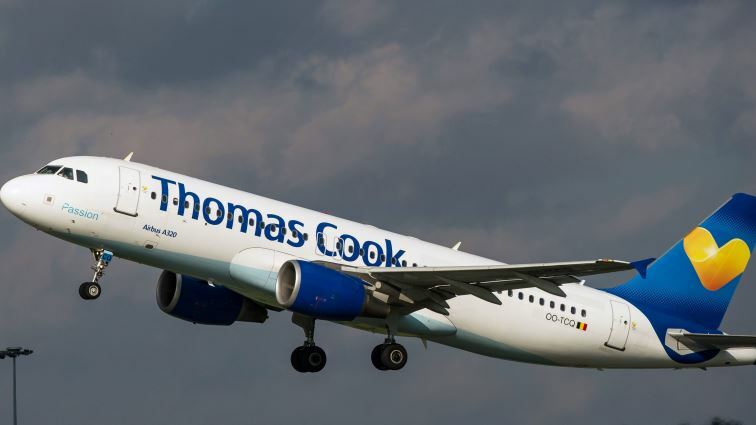 “Thomas Cook Group has undergone significant transformation over the last five years as we have streamlined our operations and focused on a clear strategy in both our airline and tour operator businesses,” it added in the statement. This entry was posted on 07 Feb 2019,06:27PM at 6:27 PM and is filed under Business, News, Homepage Latest Stories Slider. You can follow any responses to this entry through the RSS 2.0 feed. Both comments and pings are currently closed.